The (albeit slightly wonky?!) 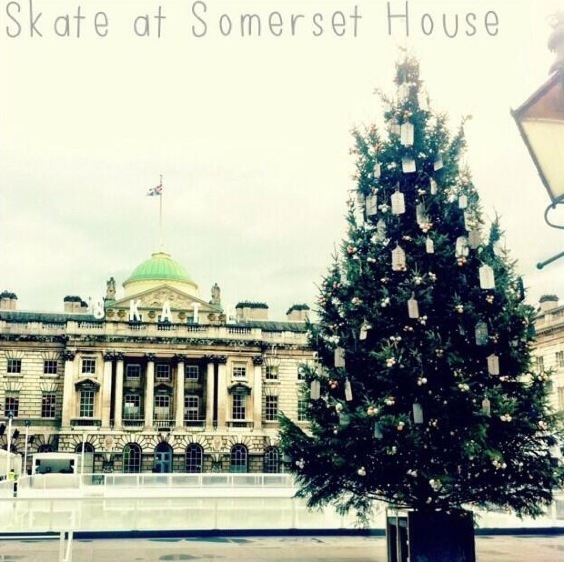 ‪Christmas tree is up and the water is freezing over which can only mean one thing... Skate at Somerset House, sponsored by the American luxury design house Coach, is one of London’s most glamourous and fashionable ice skating experiences, opens this Thursday 14th and I cannot wait to go! Nothing can beat an evening skating alongside a live soundtrack spun by top DJs, whilst enjoying rink-side yuletide treats (welcome back mince pies and mulled wine, my old friends!) followed by dinner at Tom’s Kitchen and a wander around the luxury pop-up Christmas market.